Native stingless bees pollinate sunflowers at an ecologically engineered site in Rizal. Ecological engineering is a management strategy that strengthens the rice field’s natural capacity to cope with pests by building biodiversity. Field tests of this technology using fruits and vegetable crops to attract beneficial insects in rice paddies reduced pest populations. Results also showed that farmers’ practice of using insecticides sustained higher planthopper and leaffolder damage compared to control and ecologically engineered fields. These were some of the results of research activities under the Ecological engineering approaches to restore and conserve ecosystem services for pest management project launched in 2013. The goal of the project was to reduce the environmental impact of rice farming and promote sustainable rice production. Ecologists-entomologists from the International Rice Research Institute (IRRI) presented the results of their research during the wrap-up workshop of the project. Finbarr Horgan and Liberty Almazan reported that ecological engineering increased the diversity of natural enemies at their research sites at IRRI and Tanay, Rizal. The technology also promoted the natural control of pests, including brown planthopper and yellow stemborer. Fame Ramal reported that their engineered sites have a higher diversity of birds without any increase in rodent damage. Meanwhile Carmencita Bernal observed more native stingless bees pollinating sunflowers at their ecologically engineered site in Rizal. Insects pollinate about 85% of the crops and the results from this study indicated higher fruit yields at sites with healthier bee populations. Furthermore, the direct benefits of this technology for farmers were clear since the engineered sites produced a range of fruits and vegetables that augmented farm production. Recommendations were made for the optimal design of rice paddies with vegetation patches consisting of the most robust crops based on data collected by the researchers. 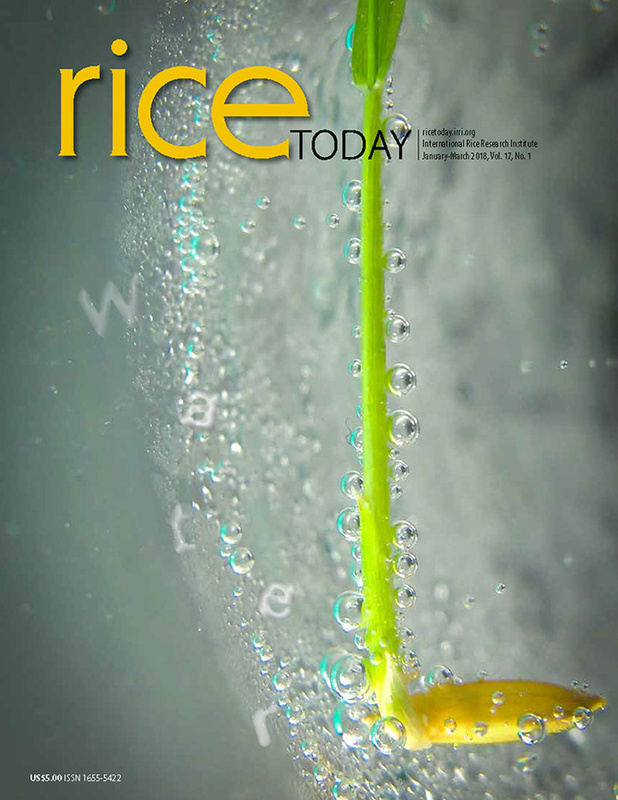 These recommendations include appropriate rice varieties for high yields and low susceptibility to common pests, effective chemical-free management of apple snails, and the incorporation of biological control into rice field management. The recommendations will be conveyed to farmers by the Bureau of Agricultural Research (BAR) through popular publications. Workshop participants included Mr. Efren Onceno and Mr. Mark Buendia from Western Visayas Agricultural Research Center, Mr. Eduardo Lalas, Mr. John Michael Pasang, and Ms. Sheniene Fernandez from Rizal Agriculture Station, and Mr. James Lopez and Ms. Josephine Alubog from Colonia, Bukidnon. Mr. Patrick Cabrera represented DA-BAR. The workshop was held on 3-4 September at Trees Hostel, Los Baños. The project, which ran from 2013 to 2015, was funded by DA-BAR with supporting funds from the German Ministry of Science and Education (LEGATO project). Back row left to right – Alberto Naredo, Mark Buendia, Maravic Perez, Fame Ramal, Finbarr Horgan, John Michael Pasang, Efren Onceno, Vu Quynh.